A lot of people ask what I do during the day as a stay at home Mom. I have been asked several times - I know you stay at home with your kids, but what is it really that you do? For a lot of people, I have a lot of free time and take long baths while reading a magazine and drinking a glass of wine. (I've done that maybe 3 times in my lifetime, maybe I should do it more often). Well, let me share with you. As we are settled in one place for now, our lives are a little bit normal nowadays. On Mondays, Wednesdays and Fridays, we get up at 6:30am to get to school at 8:00. I make sure everything is ready for them - school clothes, baon, breakfast. While they are in school, I do some errands - fill prescriptions, make appointments, arrange for our upcoming move to Manila, and yes, I do have some time to blog, connect with friends, and work on some professional and personal projects. I am planning to line up some Caregiving workshops and Mommy classes when I am back in Manila, sharing my experiences as a Mom and as a teacher in different countries, throughout the years. I've lined up a couple of meetings with some workshop organizers and preschools, it is so exciting. 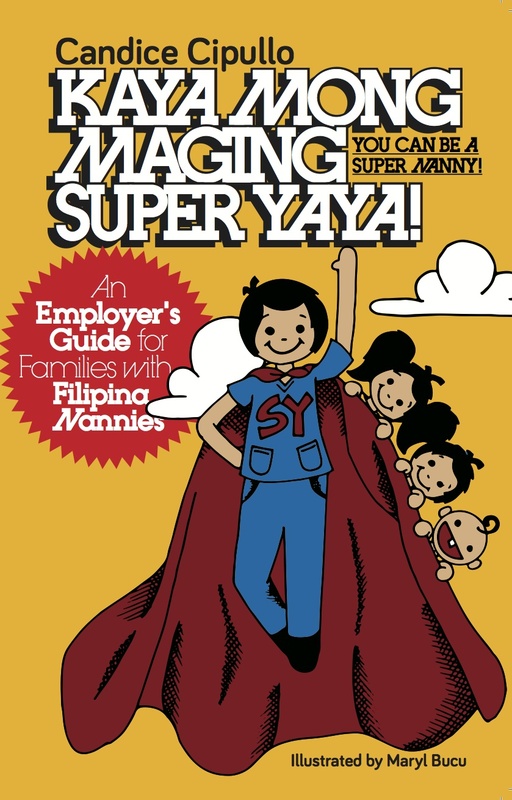 Now, I am basically researching current trends on children's development and trying to better understand the topics that parents want Yayas to learn. On Tuesdays and Thursdays, we have a little bit of a chance to sleep in. Then we either go to the park, a playgroup, swimming or whatever it is that we want to explore in the city. We get home in the afternoon, right at the time when Daddy comes home from language class, then I make dinner while the kids rest/have screen time, then I rush to get some work-out done, then we have dinner, give them a bath, put them to bed. Tim and I rush to do things we want to do before we sleep. Me? Iron, do the laundry, prepare for the next day, when there is time, I read a magazine or cross stitch! I finished one cross stitch project for Nina's room! or read a book. And on weekends - we do whatever we want! Have brunch in the city, do outdoor activities, movie night, spend time with the kids. Tim and I also try our best to have date night once a week for our sanity. So there goes my typical day. I do miss working in an office or a school environment, and directly make an impact in other aspects of the world, other than raising kids. I think I will have more opportunities to do that in the future, but for now, I am absolutely at peace with this crazy life. In Manila, we will fortunately have the extra budget to hire help. But after 8 years of living overseas and not having access to that luxury, some questions arise - how do I let go and let others help me raise my kids? How do I let go of my ironing duties, my laundry duties, my dishwashing duties - so I can spend more time with the kids or do some more productive work in my advocacies? How do I let go of having the "I do everything for my children" complex and still recognize that hiring help means providing employment in the local economy? How will my kids adjust to that lifestyle? Then move to another country where we have to do everything ourselves again. Aaah,,the joys, the joys of life. I recently attended a workshop called "Raising Bilingual Children in the Foreign Service" and I was convinced that while my kids are little, I definitely should speak Tagalog to them. There is no downside to it, all brain research suggest that bilingualism help the kids excel in other areas like math or science, since their brains are used to divergent thinking. There will be delays on the first few months, but they will be so used to hearing it that they will think that they will just have to live with it. I am so proud to be Filipino and want to uphold my heritage as long as I can to my kids, and beyond having them eat pancit, lumpia, or play patintero, bato bato pick or saw saw suka, I want them to speak Tagalog!!! So Tim and I have committed to the one language, one parent policy wherein I only speak Tagalog, and Tim speaks English. I've always wanted to do this with the kids, but over the years, I've just gotten tired and realized that speaking English to them is the most comfortable for me, pero sayang naman! So, it's been a week now, and it's definitely making things more complicated for us. Even my own English is starting to change because I am now more actively thinking in Tagalog, more than English. I ordered coffee from Starbucks today in Tagalog, without realizing that I was speaking it. So, good luck to all of us. The speaker if we commit, we commit for the next 20 years. So here it goes. To all my friends in Manila - speak only Tagalog to my kids ha! Tulungan nyo ako! Kevin and Nina have been asking a lot about God, and Tim and I have been amazed at their thoughts about Him. We always say that God loves them unconditionally, and nothing they do will ever make God love them less. And we say that about us too - that Mommy and Daddy will love them no matter what. This thought of unconditional love, has been the most liberating thing I've learned throughout the years. If only the nuns in my Catholic education emphasized on this when I was growing up, I would have been more fearless and not afraid to question, to challenge my faith and to make mistakes. Today at mass, I was a little late because I took the kids to school. I was a little hesitant to take communion because I was late - but then I wanted Jesus. I wanted to take communion. And I felt a genuine spirit come over me and say - it is alright. He wants you too. Beyond Catholic doctrine and rules, I knew that my God wanted me to receive his body and blood, at that moment. And so I did. And I thought - my ongoing and challenging relationship with God is really improving, that I am now able to feel this need to receive Him and for Him to be part of my life. I felt God saying - I am with you, I want you, take me. I love you no matter what. This idea of unconditional love has really transformed me, and I hope that I can translate that love to my kids. Does that make any sense? Welcome those who are weak in faith, but not for the purpose of quarreling over opinions. Some believe in eating anything, while the weak eat only vegetables. Those who eat must not despise those who abstain, and those who abstain must not pass judgement on those who eat, for God has welcomed them. Who are you to pass judgement on servants of another? It is before their own lord that they stand or fall. And they will be upheld, for the Lord is able to make them stand. I am so used to making judgmental remarks that it has just been part of my life to observe what other people do and comment on it. I should really stop doing that, and just focus on seeing the good in others. Today, Kevin and Nina's principal stressed on that - see the face of God in others. See the people who are quietly making a difference in people's lives, and that is where you see God. And try to do the same. Even if I am living in what I think is the most unfriendly place with kids on earth, I will try, I will try!! !